Another asteroid has headed our way - the second this week - but there was no need to worry. The newly discovered space rock passed within 64,000km of Earth yesterday afternoon. That's less than one-fifth the distance to the moon. Designated 2018 CB, the asteroid is an estimated 15 metres to 40 metres in size, possibly bigger than the one that exploded over Russia five years ago this month. The manager of NASA's centre for near-Earth object studies, Paul Chodas, said asteroids this size usually don't come this close - just once or twice a year. 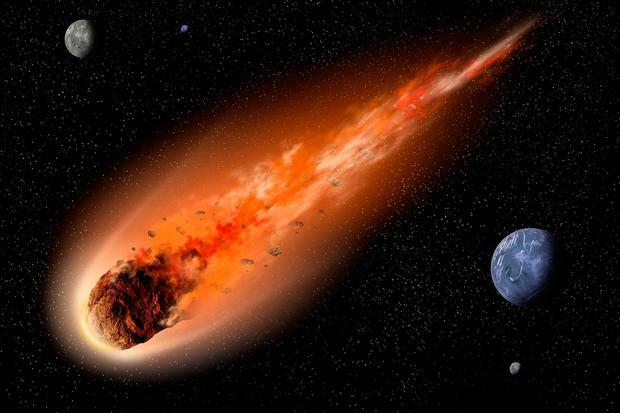 While yesterday's close approach wasn't a huge deal, Mr Chodas said in an email: "It is a reminder that asteroids can pass very close to our planet and it's important that we find these objects when they do get close." It was the second time this week an asteroid buzzed us. On Tuesday, an asteroid passed within 184,000km, slightly more than halfway to the moon. Both of this week's asteroids were discovered by astronomers at the NASA-funded Catalina Sky Survey in Arizona.